Early in the morning I was trying to sing-in my Gmail account, but I was not able to sing-in. Since 10 minutes Gmail was shown loading your Gmail. I was stuck and also looking for what exactly reason behind this. In my mind first thought was, is it my Gmail account is hacked! Again I refreshed it, same & I switched to the other browser shown same. A long struggle approx. 15 minutes Gmail finally showed some message 502 error a Temporary Error. That time I was happy my account was not hacked but again I was sad, but why is that, why Gmail shows these types of errors? How many people facing the same problem with Gmail? Etc. Too many thoughts were in my mind. 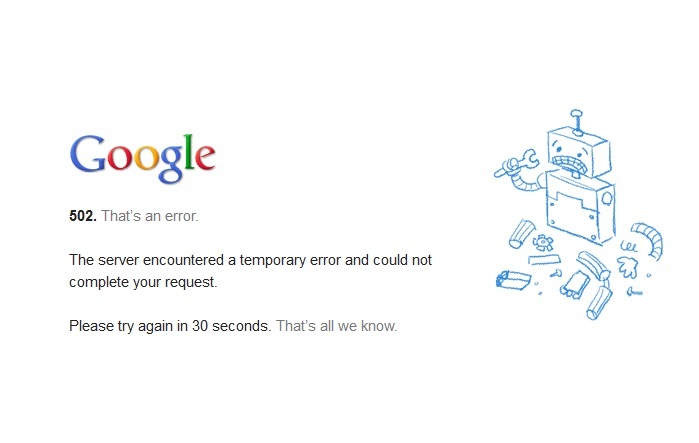 Did you never face ‘Temporary Error (502)’ problem with your Gmail account?